1. Do not include registry information with your invitation. Although you may have seen it, it’s never okay to include registry information on or within an invitation to the wedding or reception, or with any wedding announcement. Doing so shifts the emphasis from “we want you to be with us on our special day” to “you need to buy us a gift and here’s what we want.”1 A better way to share this information is through word of mouth (make sure both sets of parents and the wedding party know your registry info), a personal wedding website, or guests can use the gift registry search engine, RegistryFinder.com. 2. Do make sure people who are invited to your shower or engagement party are invited to your wedding. Anyone invited to a pre-wedding party must also be included on the wedding guest list. If you care enough about someone to invite them to a party or shower, then they are special enough to be added to your guest list. 3. Don’t have a cash bar. Asking your guests to pay for their own drinks is simply unacceptable. Would you ever invite a guest to dinner at your house and then ask them to pay? Of course not, and it’s not appropriate at weddings either. If you can’t afford an open bar, but would like to serve alcohol at your wedding, there are other ways to do it. Serving beer and wine is a great compromise. If you feel like you want to provide liquor, work with your caterer to create a few signature drinks. Many guests might sample these and then switch to beer, wine or a non-alcoholic drink. Most importantly, they will not feel deprived. Another option is to have an alcohol-free reception. You could have a morning or afternoon wedding with a more simple reception that does not include alcohol. There are many ways to make your wedding fit into your budget without asking your guests to pay. 4. Do greet your guests. Make a real effort to greet each of your guests personally. They have given a significant amount of their time (and probably money) to be there to celebrate with you. Although the receiving line seems to be a thing of the past, it is the best way to ensure that each and every guest is greeted and no one is missed. Today, most couples choose to visit each table during the reception. However, when the actual day comes, there are many distractions, and the bride and groom may start with a few tables and not make it around the room. I recently attended a wedding where the couple seemed to make no effort to greet their guests. I didn’t get a chance to speak to the bride (whom I knew), but I did approach the groom to introduce myself and offer congratulations. He made no effort to engage or even say a simple, “Thank you for coming.” Clearly, no one instructed him on basic social manners. Weddings go by very quickly and before you know it, it’s late, and everyone is starting to leave. To avoid this, consider having a receiving line after all, or plan enough time and set a realistic schedule to ensure all tables are visited. Make it brief, but sincere and heartfelt. 5. Don’t ask for money. Don’t print on your invitation that you would like to receive money in lieu of gifts (refer to point number 1, no mention of gifts at all), and please skip the “dollar dance” at the reception. The “money or dollar dance” is a practice in some cultures where male guests pay to dance briefly with the bride, and female guests pay to dance with the groom. We are not sure how this pseudo-tradition began, but it seems tacky (there is just no other way to say it). Don’t lose perspective on the purpose of your wedding. It’s a celebration of your love and dedication to one another, not a way to fundraise or crowdsource. 6. Do watch your liquor intake. An intoxicated bride or groom is embarrassing and creates an uncomfortable situation for the guests, parents and grandparents. Yes, this is a celebration, but nobody wants to see the bride or groom so inebriated that they lose their motor skills or get sick. You want to make sure you remember and enjoy the event you spent months planning. Remember to eat and pace your alcohol consumption — have a glass of water in between each cocktail. As long as there are weddings, there will be wedding hiccups. Do your best to be aware of the details that people will remember long after the big day is over. But don’t stress! Manage what’s in your control, laugh off what you can’t control and enjoy your special day. 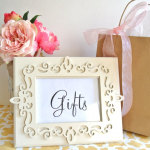 Do you have questions or comments about gift-giving or wedding etiquette? 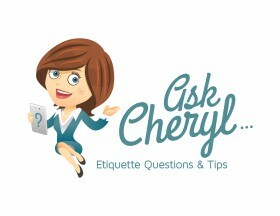 Please email us at AskCheryl@registryfinder.com. We will personally respond to your questions and may also use them as the subject of a future blog post.